Please see our other IT and Network Support pages to learn more about how we can follow up with implementation, integration, maintenance, and onsite services. 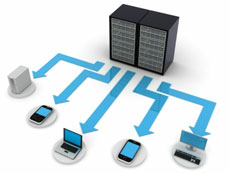 Analyzing and planning for your IT and network infrastructure from mobile to desktops to servers. Developing disaster preparedness and recovery strategies. Assessing security and providing recommendations on best practices and systems. Vetting hardware and software solutions and making recommendations based on performance and budget.